Jo started her development career as a nurse working in street clinics in the slum areas of Calcutta. Since then she has worked passionately with civil society organisations and NGOs in the international development sector for over 25 years. Jo has designed, managed and evaluated development programs in the Pacific, Asia and Africa having held senior executive positions with NGOs working with governments and local civil society organisations in many countries throughout these regions. 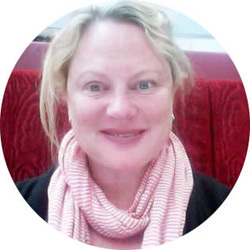 As a consultant in the sector for the past 12 years, Jo has undertaken countless projects for the Australian government aid program and NGOs which have taken her to most parts of the Pacific, Asia and Eastern and Southern Africa on long and short term engagements. These have included designing and evaluating NGO programs, designing and advising on government health programs and analysing and advising NGOs on strategy, governance, policy, operational procedures, partnership and program management. Jo holds post graduate qualifications in international development and public health. Since an internship with UNHCR in West Africa in 1998 during her postgraduate studies, Belinda has focused her career on international aid and development, with a particular focus on civil society. Belinda’s work has taken her to East Timor, the Occupied Palestinian Territories, Mali, Costa Rica, Thailand, Vietnam, Nepal, Sri Lanka, Fiji, Papua New Guinea, Tonga and the Solomon Islands. Belinda has a passion for supporting civil society organisations improve their own effectiveness. She has reviewed well over 100 international development organisations in the areas of governance, strategic planning, program effectiveness, partnership, financial management and viability, and risk management. She mentors small and large NGOs to strengthen systems and practices. 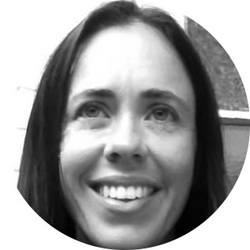 Belinda is an analyst and an innovator and brings these skills to her work in setting standards, developing strategy, program design, evaluation and capacity development. Belinda holds qualifications in economics and international development.